The fitness bug has infected everyone – right from teenagers to middle aged people. Following a healthy lifestyle is good not just for your overall health, but for your appearance as well. Having a flat stomach is no longer sufficient as we all want a perfectly toned body. If you are someone who is aiming to look perfect, you’ll know how unsightly flabby arms can appear. And, if you’re serious about getting in shape, you’ll want your arms to look their best. 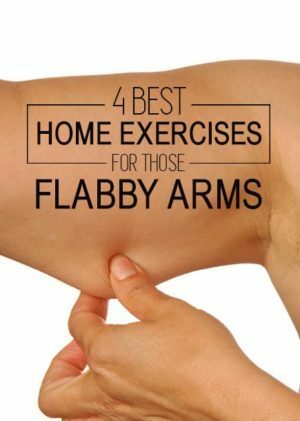 Wondering how to get rid of flabby arms? Keep reading to find out. Flabby arms are usually the result of accumulation of excess fat, and result in loose, hanging skin in the upward portion of your arms. Your arms are jiggly and look thicker than they actually are. The triceps is the largest muscle located in the back of your arm, and since it makes up most of the rear of your arm, targeting it with isolation exercises is the best way to get rid of those embarrassing flabby arms. There are plenty of women who have flabby arms and are looking for a solution.This occurs because women tend to store more fat on their arms as compared to men. Flabby arms are caused due to two main reasons. One, our skin tends to lose its elasticity as we age, which means it stretches and tends to sag. The other reason, as mentioned earlier, is excess fat located in the rear of your arm. This can affect your confidence and create a negative body image. If you have flabby arms and are wondering how to get rid of them, you’ve come to the right place. The key to losing those unsightly arms is losing weight. Your arms will automatically appear firmer and well-toned. This can be achieved through a combination of exercise and balanced diet. Generally, by focusing on exercises on the triceps, you can target and get rid of flabby arms. 1.Assume the starting position i.e. your arms behind your back, gripping a bench or the rack. 2.From the starting position, slowly lower yourself. Keep your body upright and your elbows tucked close to your sides. 3.Concentrate on lowering your body only with the triceps. Ensure that your elbows are at a 90-degree angle. 4.After this, push your body back up using only your triceps. Repeat. 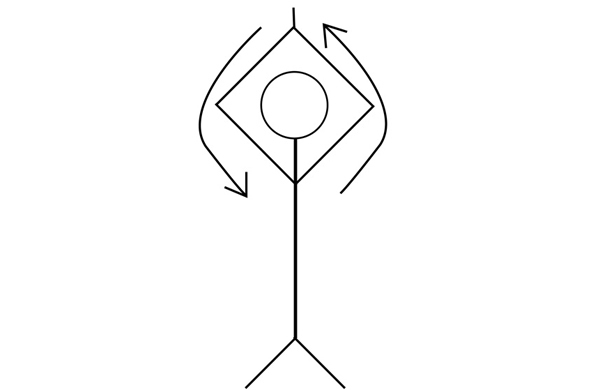 1.Place your hands with the palms facing downward on the floor, shoulder-width apart, with a slight bend in your arms. Keep your feet together. Support your weight on your hands and toes. 2.Lower yourself until your chest is almost touching the floor. Inhale as you do this. 3.Exhale and push your body up back to the first position. 4.Steady yourself at the top and repeat. 1.Hold a dumbbell in each hand. 2.While you are standing, bend your knees slightly, keeping your back straight, and bend forward slightly. Your body should be almost parallel to the floor. Keep your head up and your arms close to your sides such that there is a 90-degree angle between your forearm and upper arm. 3.Keep your shoulders locked to your sides while extending your arms back. Focus on the contraction of your triceps only. 4.Hold for two seconds and lower your arms to the starting position. Avoid swinging your arms. 1.Stand with your feet shoulder-width apart. 2.Hold a dumbbell with both hands, with the thumbs wrapped around it for better grip. The dumbbell should be held behind your head, and your palms must face the ceiling. 3.Your upper arms should be close to your head. The elbows should be close to your eyes and perpendicular to the floor. 4.Lower your upper arms until the weight is touching the upper part of your back. Don’t move your elbows. Keep them locked close to your ears. 5.Use your triceps to raise the dumbbell up with your arms fully extended over your head. Exhale as you do this. 1.Stand with your feet shoulder-width apart and grab a barbell with your palms facing down. 2.Bend forward and slightly bend your knees. Keep your back straight. Your torso should be parallel to the floor, and your head pointed up. 3.Keep your elbows close to your body. Breathe out, and pull the bar towards your chest, just below your ribs. Exhale as you do this. 4.At this position, squeeze your back muscles and hold. 5.Lower the bar down to the starting position, just around your knees. Repeat. 1.Lie on your side with the knees slightly bent. 2.Place your left arm on your right shoulder. 3.Push your torso up with your right arm on the floor, palm facing up. 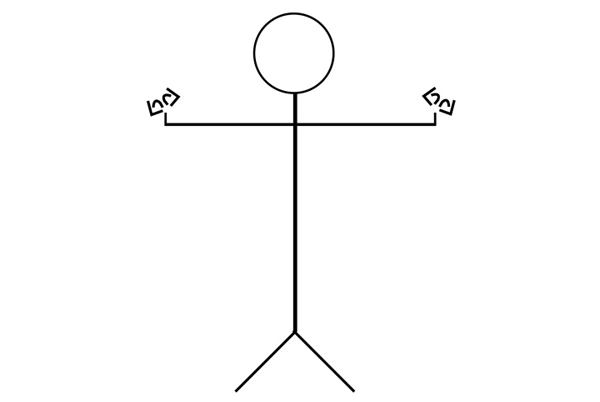 1.Raise your arms in front of you at the shoulder level, parallel to the ground. 2.Now, raise your arms upwards and rotate them backwards and down and front again in a 360-degree motion like the blades of a windmill. 3.Repeat this motion 20 times forward and 20 times backwards. 1.Raise your arms to the shoulder level to your sides. 2.Start waving your palms as if you are waving goodbye to someone. 3.Keep your upper arms still. Move only your palms. 4.Speed up the process such that you wave about 100 times in a minute. Do three sets of 100 waves each. 1.Join your hands in a praying pose above your head. 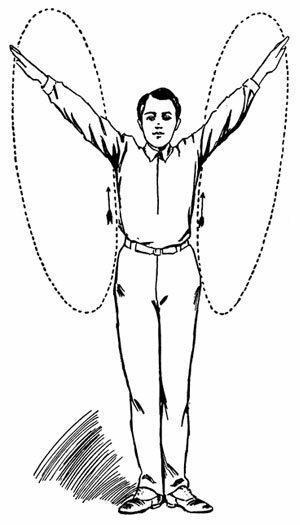 2.Bring your joined palms down to the front of your chest. 3.Raise your joined hands again. 4.Repeat this for 30 repetitions. 1.Raise your hands above your head. 2.Hold your right wrist with your left hand and your left wrist with your right hand, thereby interlocking your hands. 3.Now, with your right hand, pull your left hand towards your right such that your left elbow falls behind your head. 4.Release the tension and take your arms back to the center without releasing your wrists. 5.With your left hand, pull your right hand towards the left such that your right elbow falls behind your head. 6.Again, release the pull and take your hands to the center. Repeat this for at least two sets of 20 repetitions each.